Troxel Helmets Home Testimonials No such thing as Bomb Proof!! No such thing as Bomb Proof!! Just this past Sunday 7/3/11, before the July 4 holiday, my friend and I had a leisurely trail ride planned. 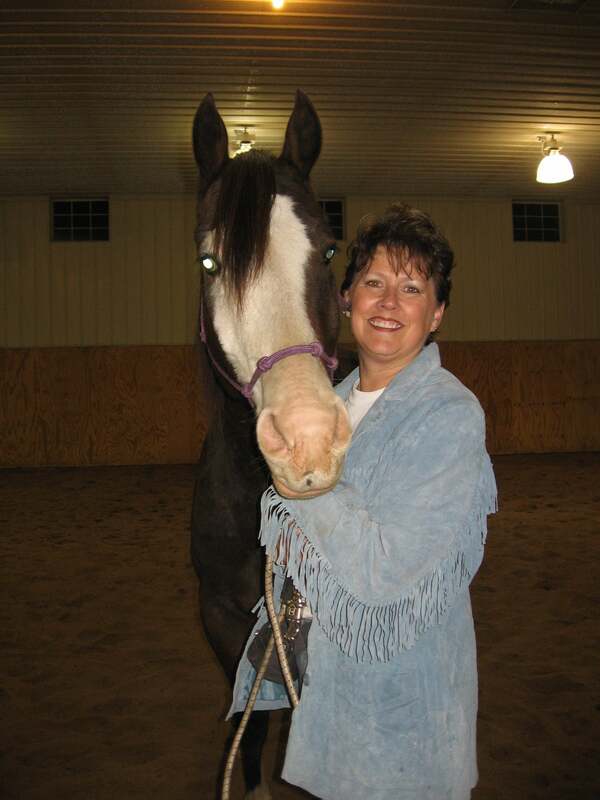 My friend is in her 50's, as am I, but she has not ridden a horse in over 30 years. She is a very hard working Registered Nurse who also trains Leader Dogs for the Blind. So needless to say, she does not have a lot of time for herself! I wanted her to experience the absolute joy that I do when out riding my large 4 legged friends. She was riding my 20+ year gentle Quarter Horse, named Ruben. I had assured her that he is gentle and that if he does spook, he usually just jumps in place. He had never bolted with me or anyone else on him before this day. We had ridden a couple of miles and had turned back to the stable. We passed a couple with their small children, exchanged a few pleasantries and continued on our way. I had not seen that they had a dog off leash and after we had passed them, this exuberant shepherd puppy took off after us. My older horse must have seen the dog coming up from behind and spooked. As it all happened so quickly, I did not see my friend actually fall but the couple did. They said Ruben bolted forward a few feet and that was all it took. My friend sailed off the back and hit her head and neck very hard on the ground. By the time I had my horse settled and turned back, my friend was on the ground, unconscious and having a difficult time breathing. Luckily the couple had a cell phone and were able to call 911 and direct the ambulance to where we were on the Gateway Trail in MN. The ambulance could only get so far in and they had to back board my friend out. I had visions of Christopher Reeves as I rushed to the Trauma Center where they transported her. The Neurosurgeon who evaluated her in the Emergency Department told me that in all likelihood, Elaine would have been killed or would have suffered irreparable brain damage if she had not been wearing a helmet. She fractured her left clavicle, and three cervical vertebrae. In laymen’s terms, she broke her neck. She will be able to walk again and any long term deficits will probably just involve her upper extremities, especially the left. She is in Rehab now and has most of her memory back. Thankfully, she does not remember any of the accident. We are hoping for a close to full recovery in 18 months and that she will be able to return to work in the busy Family Practice Clinic we work in. The patients and doctors miss her smiling face very much!! Thank you sooooooo much for your wonderful products. I also am sure that in all my falls, I would not be here if I did not wear riding helmets. I will be replacing the helmet Elaine was wearing as the chin as part of the exterior cracked. If she had not been wearing the helmet, that would have been her skull that cracked. Please!!! All you cowboys and cowgirls out there!! Wear a Helmet! !